Bayley - First off, can you tell everyone a little bit about The Shop? The Shop - The Shop was born in 2012, we’re a family owned and operated business located in Chino, CA with an online shop to serve the world with a price match guarantee! Bayley - Who is behind Pro Scooter Lab and how did you guys first start? The Shop - My wife and I run The Shop with the help of our family and a couple of our riders David Granger and Capron Funk and of course we wouldn’t be here without our ninja team! We first started off as a skateboard shop in Chino Hills but 2 months into it two kids (Zach & Shane) introduced us to scooters and that’s where it all began. Bayley - What makes The Shop different from other scooter shops? The Shop - We make sure we take care of everyone like family, we’re looking to make that long term relationship and not just a sale. We’re always looking to do something different to help and expand the sport. We love being active in the industry and we - eat, sleep, scoot! Bayley - I know you guys make really cool custom stickers (I have one on my helmet). How did that all start up and how do you even make them!? 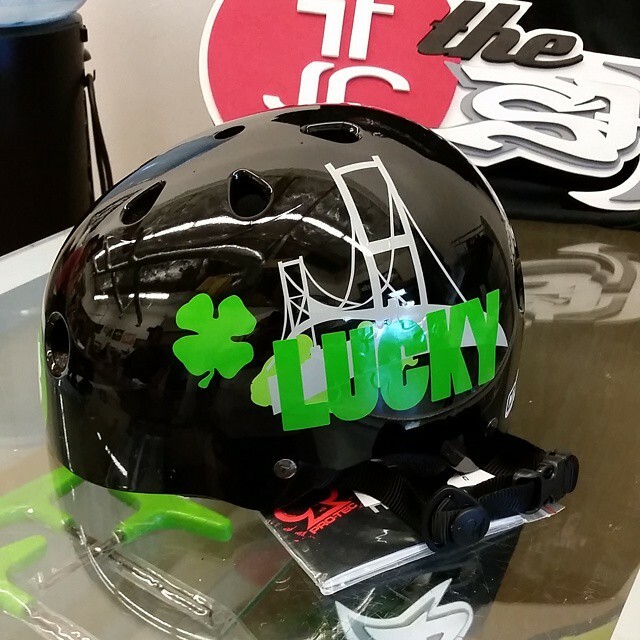 The Shop - We wanted our Team to rep us at events and on a daily basis when riding and what better way to do that then with custom helmets. My brother is a graphic arts genius and has the patience to get some of the craziest designs onto the helmet. We have been trying some different things with the helmets and will have some fresh new designs for our riders this season. Bayley - I know at one point you guys had an indoor skatepark open that had a foam pit and plans for a resi. Then all of a sudden it kinda shut down. Can you give us any info about that and what exactly happened? The Shop - Yes, we had a fresh park that was about 80% complete and was open for a little over a month. There were a lot of big plans for that park with a lot of potential. I had 2 partners that let’s just say weren’t the most honest. There are many stories on what exactly happened but all I can say is video footage and pictures don’t lie. We went back to our roots and are here to stay! 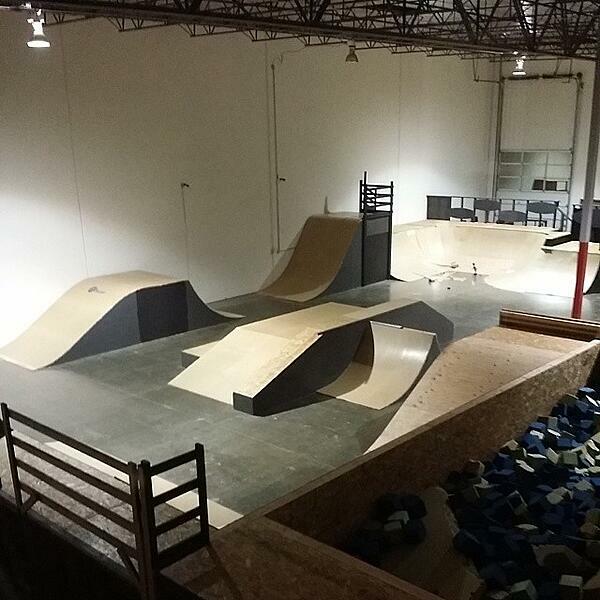 Bayley - Your current shop is located just down the street from Ayala skatepark. 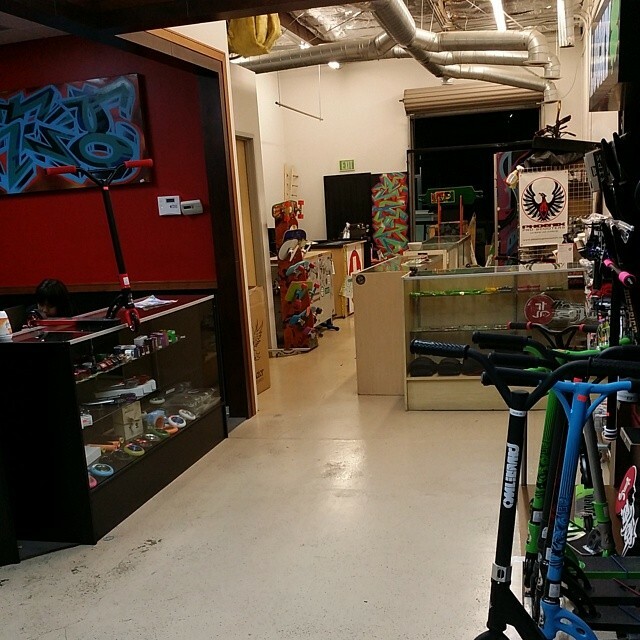 Do you feel like having a shop close to a big time skatepark like Ayala draws more business? The Shop - Being down the street from the park is great! We are like a tourist attraction for all the kids coming to town to ride Ayala. The kids ride to The Shop knowing we can fix anything the RIGHT way and get them back on their scooters. We make our shop home to all and we welcome the kids to come hang out. Bayley - What are some things the scooter industry might see from The Shop in the upcoming years? The Shop - There are a few tricks up our sleeves and this holiday season we will launch the first part of our plan. 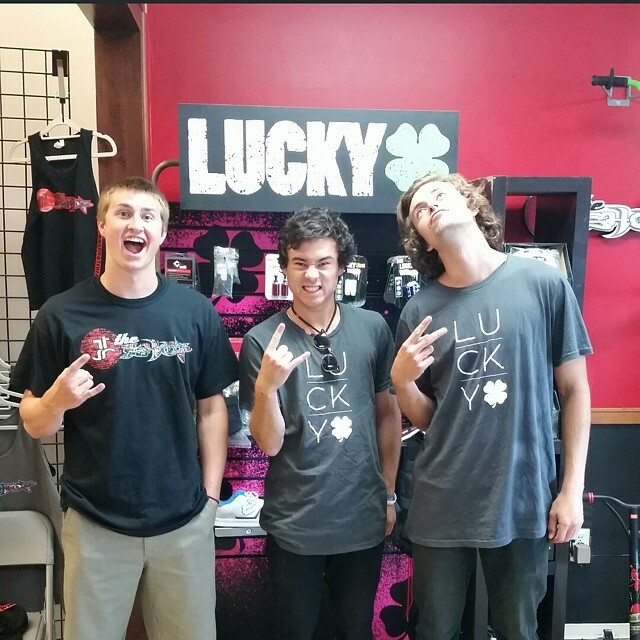 The Shop - We want to thank everyone for their support! We appreciate everyone and especially our Team, we couldn’t do it without you!